Now no-one can make an “aliens from Mexico” joke. @TagWizard, isn’t that an awfully big left hand in front of the alien person in front of the Capitol Dome? 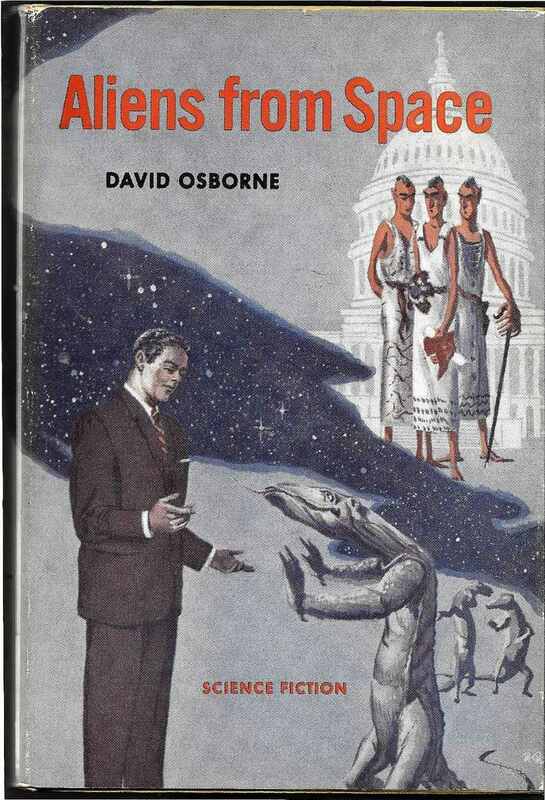 Look, I know the book is called “Aliens from Space” and you painted both aliens and space on the cover, but you’d better add “Science Fiction”. I want to be sure the bookstores don’t shelve this in the wrong category. Inspiration of the young David Icke? Chet’s explanation of a “trust fall” didn’t translate well to Varan the Unbelievable and his kin. Middle dude in the back, is he holding a dead eagle? THIS MEANS WAR! The Tranvestic Dandy Senate frowns on your human-reptile shenanigans. They’re punks. From the future. And they have genetically enlarged hands in a desperate attempt to erase the memory of Emperor Trump. The international convention of Even Cheaper Car Insurance adverts was more sedate after the French Ferrets and Russian Meerkats were detained at the airport. 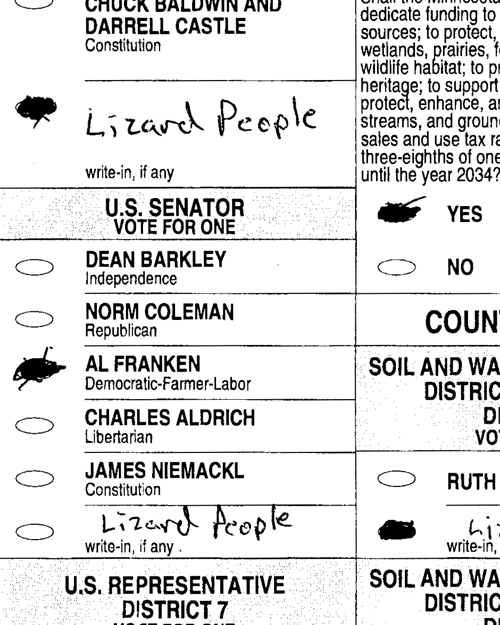 Senator Franken, those Lizard People votes you counted belonged to ME! I think the aliens in back just want to play for the NBA or the WNBA, whichever is appropriate. And Varan indeed does NOT want to hear about Jesus, and will be returning to his Dance of Safety with his chums. Why are there three old men crossdressing in front of the US Capitol Building? What does this have to do with space aliens? Are they attempting to look like ancient Roman politicians in togas?